This Single-Family in Marshfield, MA recently sold for $372,500. 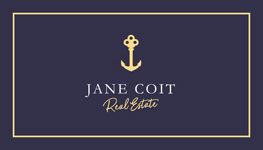 This Ranch style home was sold by Office Kingston - Jane Coit Real Estate Inc.. Welcome to Green Harbor. Look no further for one level living. An open floor plan offers endless possibilities . Large eat in kitchen, family room, living room, office and dining area with 1998' of living space. The outside of the house does not reflect the 1998' of living space. The separate utility room with sink, washer/dryer and countertops is directly off the kitchen. The level yard is fenced. The home has a generator hookup and is NOT in a flood zone. A neighborhood located minutes from the beach, Brant Rock Esplanade, dining, boating , tennis and kayaking.Sunday 12-2. See you there. FRONT ROOF IS SCHEDULED TO BE REPLACED BY MARCH 8, WEATHER PERMITTING. Don't drive by.. please schedule a visit. This Single-Family in New Bedford, MA recently sold for $340,000. This Colonial style home was sold by Office Kingston - Jane Coit Real Estate Inc..
Great unit at a GREAT price! !